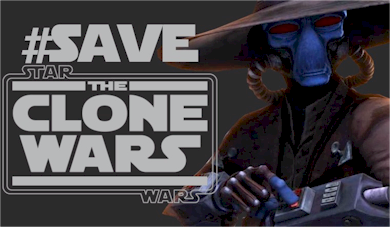 A few days ago, Jawa James at Club Jade made a few suggestions of things we could do in our attempt to #SaveTheCloneWars. One of the suggestions was organizing a Star Wars: The Clone Wars DVD/Blu-ray buying campaign. May the 4th has become a Star Wars holiday, so what better day to organize a campaign to purchase copies of this wonderful series. 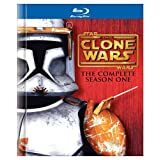 A link to Star Wars: The Clone Wars at Amazon is listed here. Let's face it, corporations are all about the money. This will be giving money to, Disney's competitor Warner Bros. If there is a large surge in DVD/Blu-ray sales, this will show Disney that their is a demand for the series, and that they could be making this money if they release future Star Wars: The Clone Wars themselves. May the force be with us.